We all know we need data. 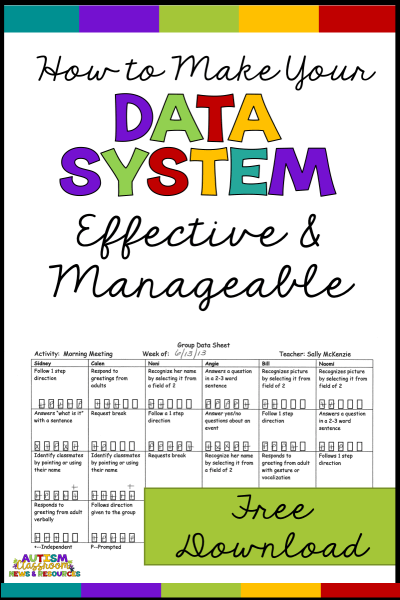 We all know parents and administration require data. And we all know that data can save us if there is ever a question about what the student knows or doesn’t know and what he has been taught. Hopefully we all also know that research shows that teachers who take data and review it regularly have students who make more progress. What many people aren’t always so sure about is how much data is enough data? Do you have to take data every minute of the day to make it meaningful? Answer: NO. Is it OK to just have anecdotal notes about an individual’s progress that I write at the end of the week? Answer: Again NO. To help answer some of what I hear as the most frequently asked questions about data, I thought I would address How much data is enough data? and talk about considerations in deciding about how much data is enough. What Do I Need to Think About When I Take Data? 1. Take data on skills / behavior as it happens (or as soon afterward as possible). I once worked with a district that was really proud of how well their teachers took data. It was the first time I had visited, so I asked about how they took it, what their procedures were, etc. They assured me that when I walked back into the classroom we were visiting I would see teachers taking data all the time. Instead, we ended up walking into the classroom just after the students had gone home and the teachers and aides were talking as they cleaned. The conversation went like this. Teacher: Did anyone see [child] make a request today? Aide 1: I did today at snack. (Note there is no indication of how many requests, whether they were independent, whether they were correct, or whether other opportunities to make requests were missed). It’s memories of data, not actual observations. My memory is getting worse as time moves forward so it’s not reliable for data collection for very long after the behavior/skill has occurred. You also tend to remember what fits with what you think is happening–so if you think Child X is getting better at requesting, you are likely to remember the times he requested instead of the times he should have but didn’t. They didn’t capture the number of times he didn’t do it but should. If Child X’s goals are written as he will correctly label something 8/10 times….we don’t know how many times he did it independently and correctly and how many times he didn’t. One data point (remembered from the whole session) doesn’t tell the whole story. So, to take data as it happens, you need a system that is easy to use, portable, and that can be implemented in the situation you are in without a lot of confusion. The counter, masking tape and other tools I talked about in the last post can help with this issue. 2. Take more than 1 data point. There is a trend among some behavior analysts to take what is called “cold probe” data meaning that you take data on the first time you ask the student to do something. Remarkably for a field that thrives on data collection, we have little information about data collection itself. However, we do have a few research studies that looked at this. Lerman, Dittlinger, Fentress, & Lanagan (2012) provide a nice review as well as their study looking at this issue. Essentially, what they say is the the cold probe (discontinuous) method provides a rough estimate but having 3 or more data points gives a more accurate picture. This research was only done on discrete trials though. Typically in a discrete trial situation I take data on each trial because the steps I am teaching are so small I don’t want to stay on one longer than I have to and get the child stuck on that response. 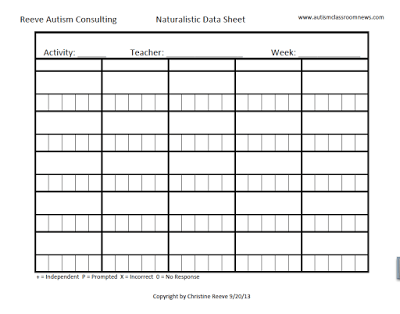 However, in more naturalistic settings, it would be impossible to take data on every single occurrence of every skill being tracked for every student. To try to get a good picture of that, I take data on 1 skill or 1 child a day to get a weekly sample. 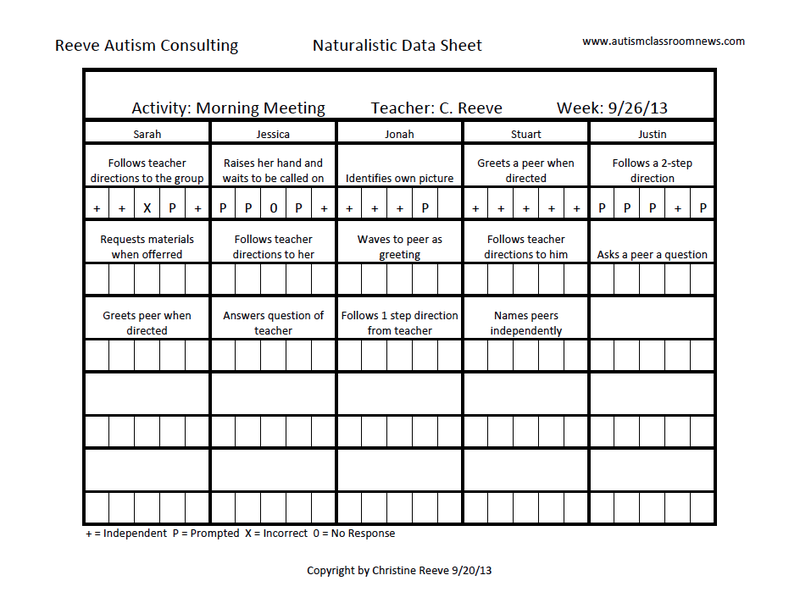 If I am working in groups (like morning meeting), I will target the goals of 1 child each data for data collection, assuring that I get a weekly sample of the skill. I aim for 5 data points or more during each observation, which also means creating 5 opportunities for the student to practice the skill. More is always better. Sometimes it would be impossible to get 5 opportunities but if you can it’s a good number to aim for (mostly for math for percentages, there is no magic number). This allows you to have a sample of the data to track progress and also to problem solve. (Aside: If you click on the authors names above you will go to the article which you can download in a variety of formats from the top right corner of the page. This is an excellent journal and is great for practitioners and easy to read. It offers advice for practitioners based on the research at the end of each article and up to the last year are available for free online). A general rule of thumb is that if you have a behavior / skill that is not going well, you need more data. If the student is making progress, you need less data. More data allows you to problem solve what is not working so you can make changes. So in that case, take data more frequently than once a week and take it in multiple settings. You may also want to take data with more detail. So, typically I take data on correct and prompted responses in naturalistic settings because trying to juggle too many details makes it likely I’ll make mistakes. If a student is not making progress, I might also take prompt data that details the type of prompting needed to see if the problem has to do with not fading the prompt type sufficiently for him to move forward in independence. This helps me figure out what to do to improve his performance. Again, if I’m taking discrete trial or direct instruction data, I take more frequent data and I typically take it in the teaching setting. However, for students with autism, I ned to make sure I also take it at other times as he or she masters the skill to make sure it has generalized and can be used. Because after all, life isn’t discrete trials. If I’m taking samples of data in groups or naturalistic settings, I make sure that the skills I am taking data on can be programmed into more than 1 activity in the day and I target to take data on that skill on different days. In general, if you take data once or twice a week, you are taking a data sample. The thing you need to remember with data samples is that they have to be taken in a consistent manner. So, if you are taking data on how often a student follows a teacher direction during morning meeting, you need to make sure you only record how often it occurs during morning meeting. That means being careful to catch every time the student has the opportunity to follow a teacher direction and record the student’s response. It also means that you have to make sure not to add data from other time periods into your sample, as it will contaminate it. So, that means you can’t come back in from the playground excited that a student followed directions on the playground and record it in the morning meeting sample. Particularly since you probably missed times that the student should have followed directions on the playground and haven’t recorded them. 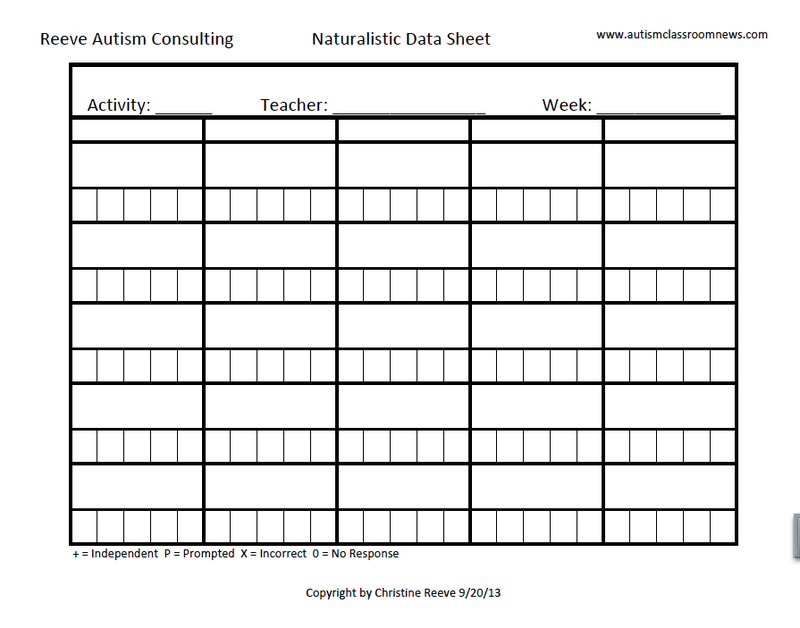 You can decide that on another day you should take data on the playground and take a sample there if that is something you think is important.So, to help you start thinking about naturalistic data collection with samples, I’ve included a group data sheet similar to what I use. In my next post I will talk about some different ways I use it, but I’ve included an example to get you started. Click here to download a blank pdf. Click here to download the Excel workbook. Any suggestions to share about data collection? Sound off in the comments! 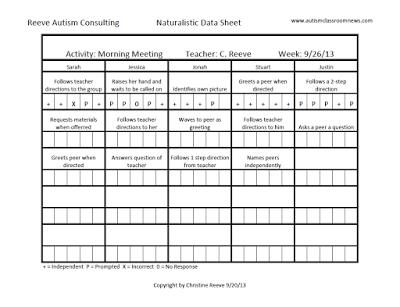 Looking for more ideas for data collection? Find out more and sign up! Love to download it if there's another link! Thank you so much for letting me know! I just fixed it so it is now correct. I must have moved the file after I copied the link! Thank you I have been struggling with how to track a few different things with a little guy up for testing that we are pretty sure is on the spectrum. This will give me a good start. Great! I'm so glad it was helpful! Thanks for sharing the data collection information. I clicked to download the data sheet, but it says the webpage is not available. I would love to have this data sheet. Is there another link I can try? Ann, I just tried them and they worked for me. They are dropbox links–are you trying to access it at school or somewhere where Dropbox is blocked? 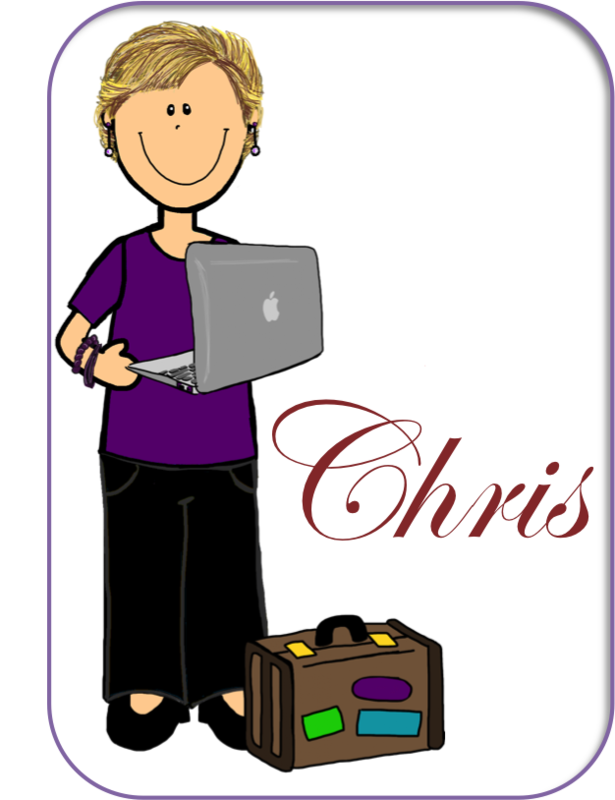 If you continue to have difficulties, email me drchrisreeve@gmail.com and I'll email them to you.